Written by Sam Humphries and Juan Ortiz. Art by Tom Grummett and Juan Ortiz. Cover by Tom Grummett and Karl Kesel. The Legion of Super-Heroes always thought they had taken their inspiration from the 21st Century's Superboy. But when they try to bring that hero into their future time, the team discovers to their surprise the caped champion isn't who-or even what-they expected! 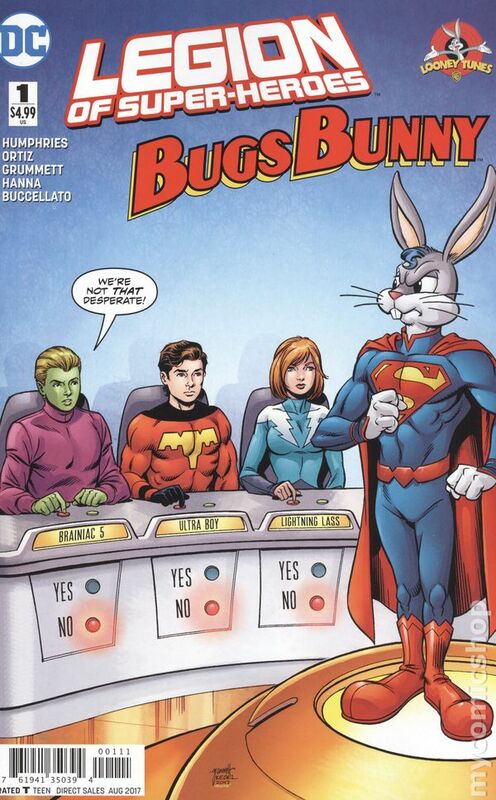 And the bonus Looney Tunes backup story features DC characters with story and art by Juan Ortiz! 48 pages, full color. Rated T Cover price $4.99.